Just like that Queen’s Birthday is all wrapped up and we’re into June! I’m leaving at the end of this month for Europe, putting pre-JWOC plans into practice. First stop will be Milan, Italy where I’ll be meeting up with Shamus and Helena. We have a couple of days to find our feet and the take-away pasta that Helena simply described as “incredible”. Not long after we’ll be meeting the rest of the group where we will be watching the World Champs and racing in some of the public races on the side. There is going to be a group of about seven from the NZ JWOC team at WOC this year, which is going to get a good atmosphere going! Can’t wait to see some of the best orienteers in the world race (including all our NZ guys and gals) and cheer them all on! Special mention to Tim Robertson whose pre JWOC build up is running at WOC – what a champ. 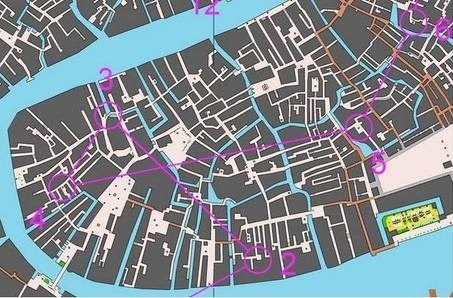 The first race is being held in Venice, talk about a tricky area. It’s the middle of the European summer so it will already be extremely packed with tourists. Alleyways that will be extra bustling with people are highlighted on the map in red. This race is going to be legit. Is that a maze? Nah, it’s just Venice. The rest of the events are being based in areas around Asiago in Northern Italy. By all accounts it’ll be a beautiful area and bring some good technical, hilly training. Perfect for the mountains of Borovets, Bulgaria. Here it will be essential to not fall trap to the classic NZ trap of over-doing it. As tempting as it is to max out training, pre-JWOC last year we made the conscious effort to spend a lot of time doing little. Think this seriously paid off during JWOC race week. From the World Champs we are then all splitting ways again before meeting again in Bulgaria half a day later! Here the whole team will be together for the first time. 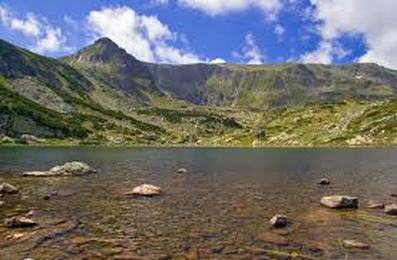 JWOC this year is being held at Borovets. This is a ski resort town about two hours from the capital Sofia. While there won’t be much snow in summer, the mountains are there to stay so we’re expecting some very tough, physical courses. Managed to get some Bulgarian practice going over the weekend as well, so feeling currently more ready than ever. Lots of people keep on asking me what JWOC actually involves – so here it is. Over JWOC week there are five races. The shortest (sprint distance) should take 15-20 mins. The longest (long distance) up to 90 mins. There is also a middle qualification race and final. The top 20 qualifiers in each heat making it to the A final. There is also a B and C final. Lastly, there is a relay, made up of three people.